Mobile apps tailored to Veteran needs? Check. Smartphones, tablets and computers make accessing VA health care easier than ever. Join representatives from VA and Team Red, White & Blue for a Facebook Live event on December 11 at 3 p.m. EST as they discuss these tools and how to enroll in VA health care. 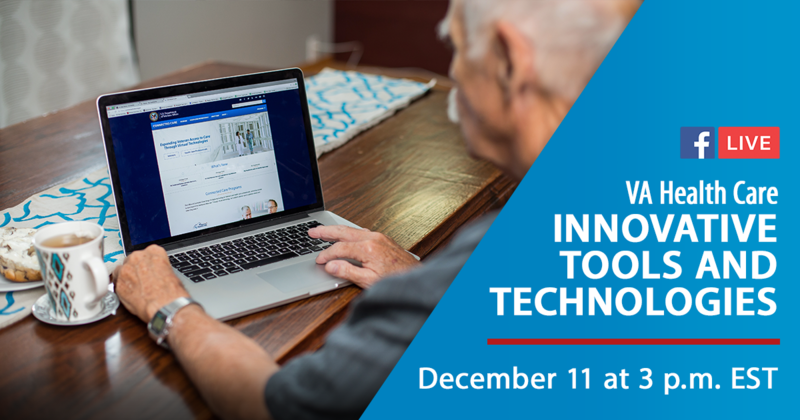 Learn how you can communicate securely with your VA health care team, easily refill prescriptions, keep track of appointments and discover other virtual offerings. Representatives will answer questions and provide resources in the comments section following the video.